Versace VE3242A is a Full Rim frame for Women, which is made of Acetate. Versace VE3242A Eyeglasses come with a cleaning cloth and protective carrying case. This was my first time buying from this website and I am very happy with my glasses. I didn't even need to get them adjusted. I previously had similar clear glasses that were a lot cheaper but I'm very glad I spent more to get these. The only concern I have is that one of the temples looks very scratched. It's not a huge deal because my hair hides it, but very thing else is perfect. I will definitely be buying from here again. 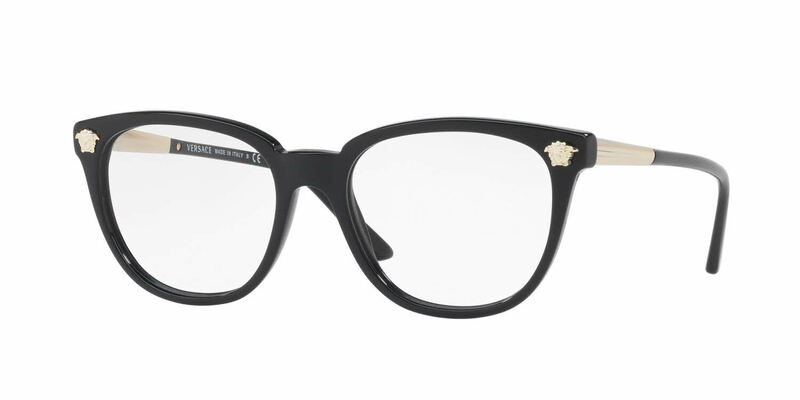 Unfortunately my crazy ex destroyed my new glasses from this site but I will be reordering since I liked them so much.